(28 cm), 42 (2) pp.,  p. of plates. 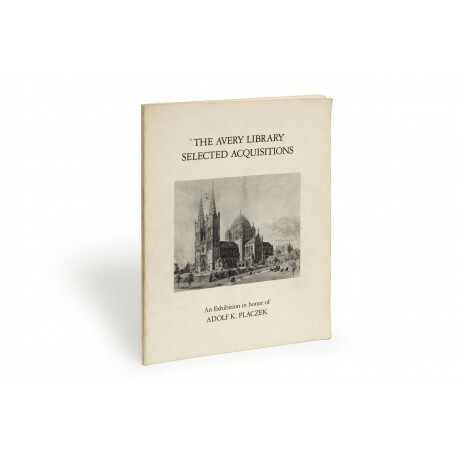 77 catalogue entries. Publisher’s printed wrappers. 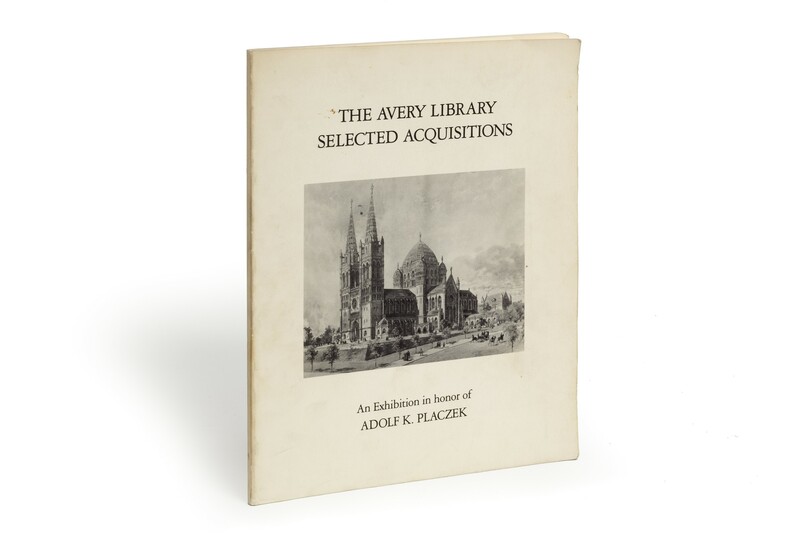 - Catalogue for exhibition honouring Adolf Placzek (1913-2000), on the occasion of his retirement as Director of the Avery Architectural Library, recording a selection of the books and drawings acquired during his tenure. Catalogue illustrations by the Meriden Gravure Company. ¶ Good, unmarked copy.